Posted by Charmaine at 10:33 a.m.
You have such talent! I love looking at your creations they are wonderful. July 28, 2008 at 5:33 p.m. Your sugar work is awesome! July 28, 2008 at 9:28 p.m.
July 29, 2008 at 3:04 a.m.
Wow! That's unbelievable. Way to go! July 29, 2008 at 6:40 a.m.
Wow, that is an awesome cake! I completed Grade 10 piano at the RCM and never finished preparing for the ARCT Performer's exam because of other commitments at high school. July 29, 2008 at 7:02 a.m.
super cute!! 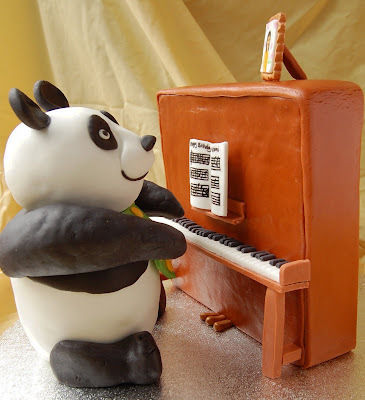 i just looked through the rest of your blog/flickr and i love your cakes and photos :) i, too, am an asian-canadian from vancouver and was tortured with piano lessons from a young age. now that i'm older i totally appreciate it, though! did you go to a pastry school in vancouver or are you self-taught? i'm looking to take some courses somewhere but i don't know where. July 29, 2008 at 11:12 a.m.
July 29, 2008 at 6:38 p.m. Your small detail work is unbelievable! The piano was just amazing especially when it comes with memories. You have such talent. July 29, 2008 at 10:26 p.m. This is so adorable! Well done! July 29, 2008 at 11:11 p.m.
July 30, 2008 at 2:58 a.m. I admire your patience! The outcome is so worth it, it's absolutely stunning! July 30, 2008 at 9:16 a.m. Anyway, I'll stop being a geek...! 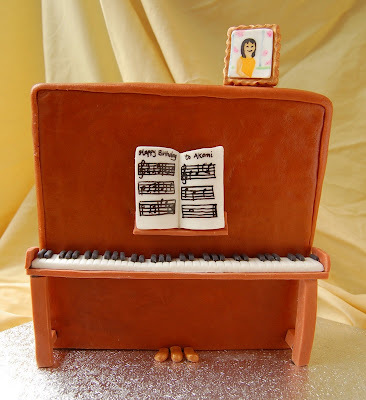 Well done again on a great cake. July 30, 2008 at 10:27 a.m. This looks so professional! You're so talented. 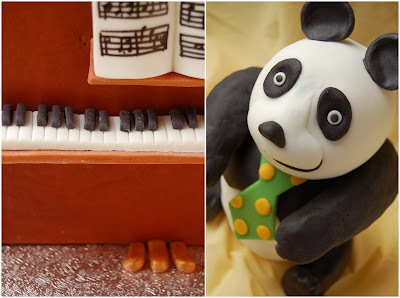 I wouldn't want to eat the panda OR the piano. I would just stare at it all day. July 30, 2008 at 12:07 p.m.
July 30, 2008 at 1:31 p.m. I am the birthday girl. Thanks so much for this cake!! It is unbelievable and I was moved so much when this cake appreared in front of myself, almost crying. I can not believe you combine perfectly my three treasures. Panda bear, my portrait and piano. I will never forget this moment and your cake made my birthday! July 30, 2008 at 5:23 p.m.
August 7, 2008 at 11:49 a.m.
August 8, 2008 at 8:09 a.m.
August 10, 2008 at 8:07 p.m.